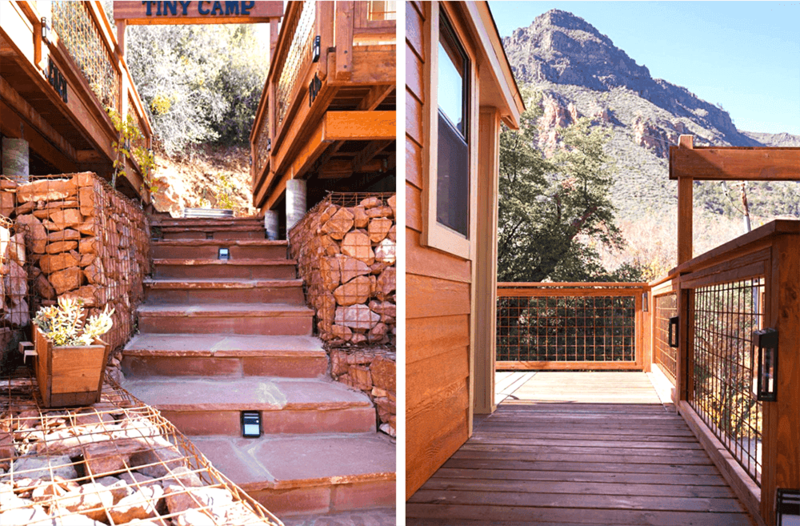 The TinyCamp cottages in Sedona, Arizona are not only great examples of tiny homes built in harmony with each other, but they are also excellent examples of how to build and place these homes in a challenging location. 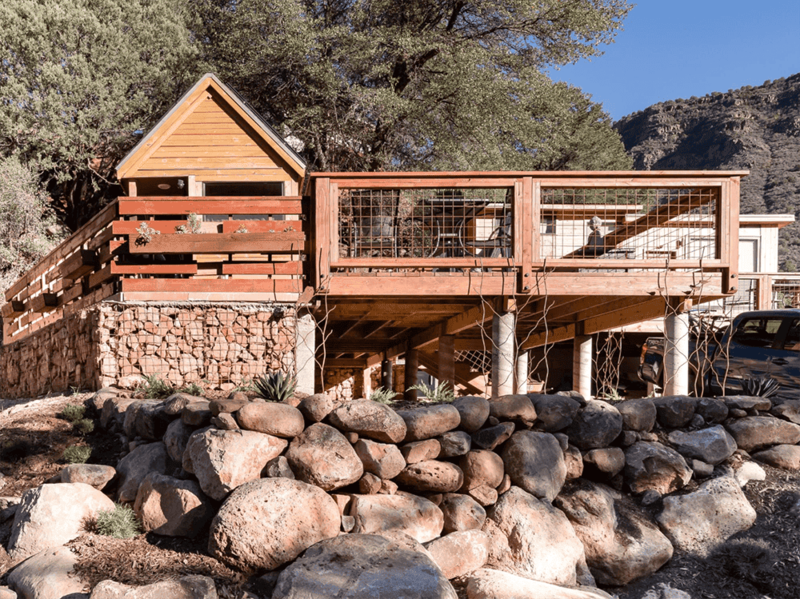 TinyCamp is located on a narrow hillside overlooking a river canyon surrounded by high cliffs, but they perch elegantly on the edge without taking over the space. Each home is extended with spacious outdoor decks that take advantage of the views and offer outdoor amenities. 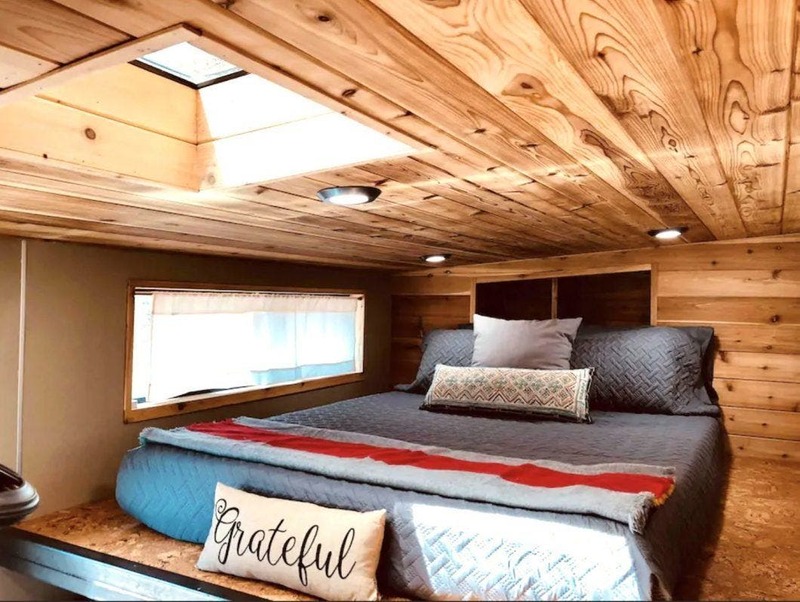 TinyCamp consists of four cabins with private decks. 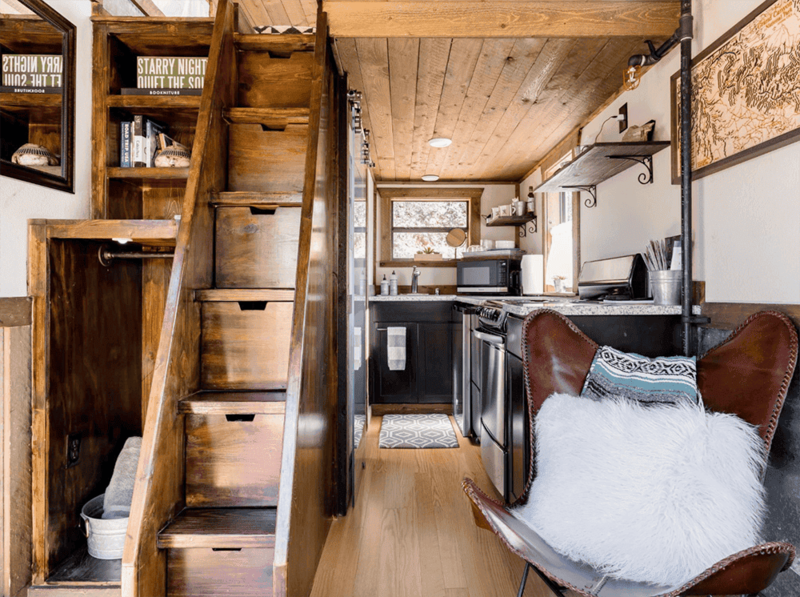 Darin Dinsmore is the owner of TinyCamp and built the homes as peaceful and restful spaces to escape. 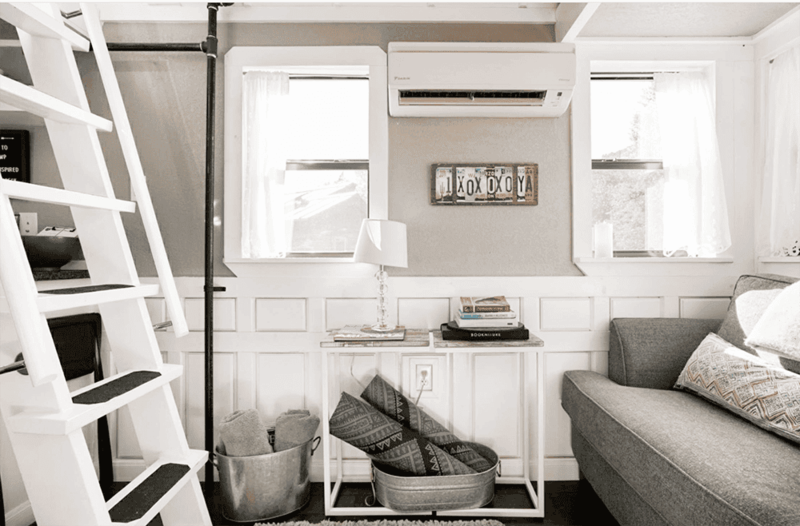 The homes are a mixture of tiny and sustainable living models and building aesthetics. Each of the homes are available for overnight stays on Airbnb. Each of the cottages have inspirational names such as Breathe and Flow. 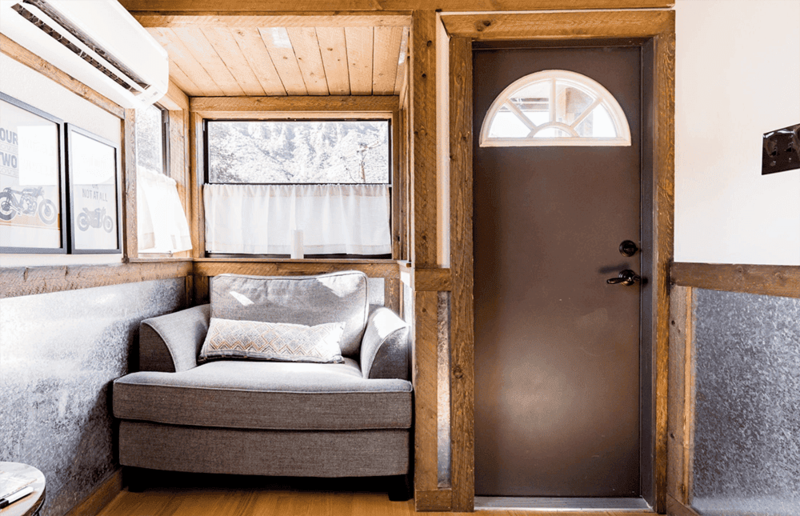 TinyCamp consists of four custom tiny homes named after enlightening and inspiring actions. Breathe is a contemporary home with a private fire pit and stargazing deck. Flow also has a fire pit and a similar deck. Grow and Renew are cabins with private salt water hot tubs and yoga decks. 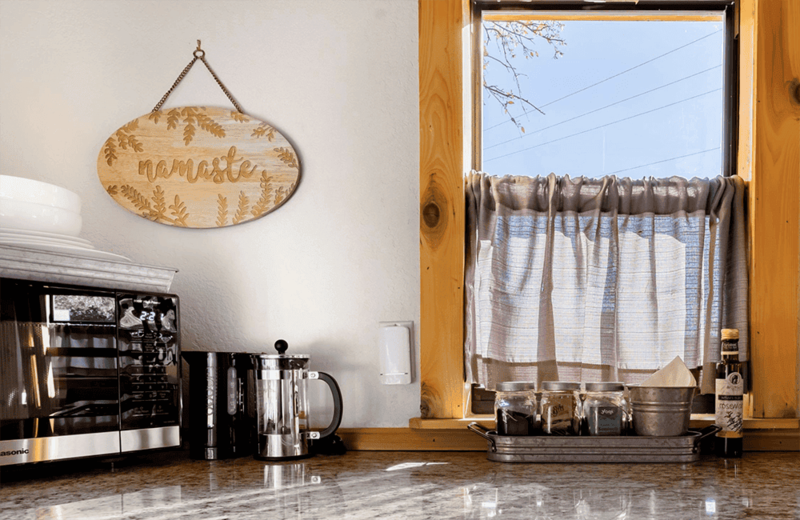 Each of the homes are beautifully decorated and include sleeping lofts, living spaces, kitchens, full bathrooms and views of the river and mountains. The homes are available for overnight stays on Airbnb.